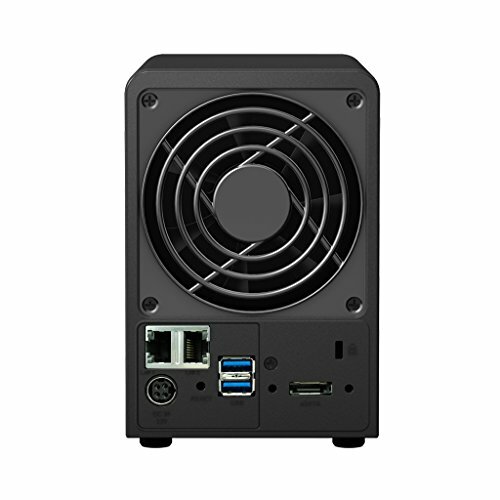 Product prices and availability are accurate as of 2019-04-06 22:00:45 EDT and are subject to change. Any price and availability information displayed on http://www.amazon.com/ at the time of purchase will apply to the purchase of this product. 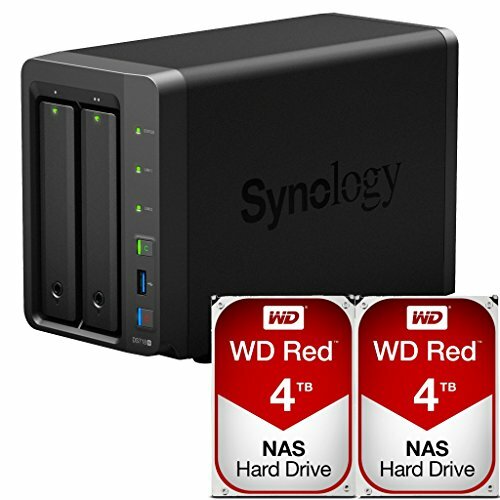 This Synology DS718+ DiskStation has been Pre-configured and Tested with TWO (2) 4TB RED NAS Drives. 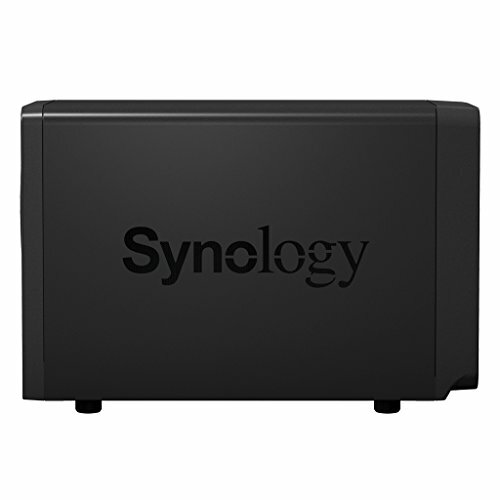 The Synology DS718+ is a high-performance, scalable 2-bay NAS, specially designed for growing businesses. 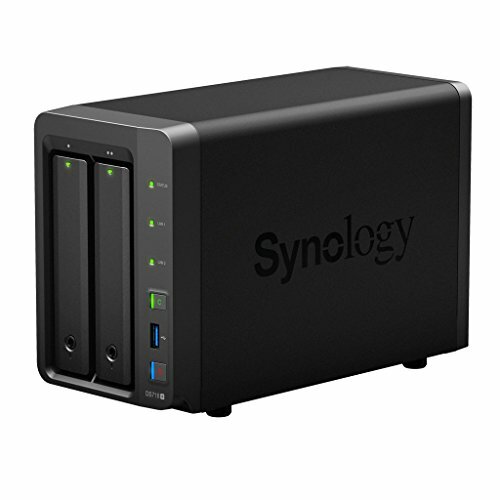 Powered by an Intel Celeron J3455 quad-core processor and AES-NI hardware encryption engine, it delivers excellent file transfer speeds. 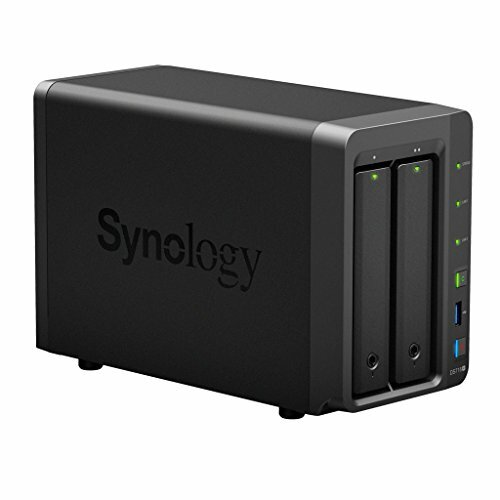 Coupled with advanced Btrfs file system which employs innovative storage technologies for great storage efficiency, it's capable of handling any intensive workloads with ease. 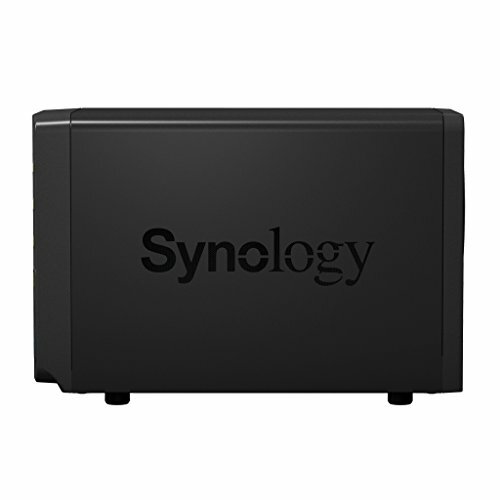 With the scalability to expand up to 7 drives with Synology Expansion Unit DX517 and the support for real-time 4K/1080p video transcoding, it is ideal for centralizing data backup and storing ultra-high definition media contents. The intuitive web-based DSM (DiskStation Manager) operating system allows you to effortlessly manage your digital assets across home and office. It offers various applications and services to bring more home entertainment as well as higher work productivity. File Station management tool enables easy file management and sharing, while Cloud Station Suite allows for real-time data synchronization across all your devices. You can also enjoy real-time collaboration on your private cloud, thanks to its built-in Office.